Home 2017 Oakland Athletics Game-Used Lineup Card - Choose your Game Date! 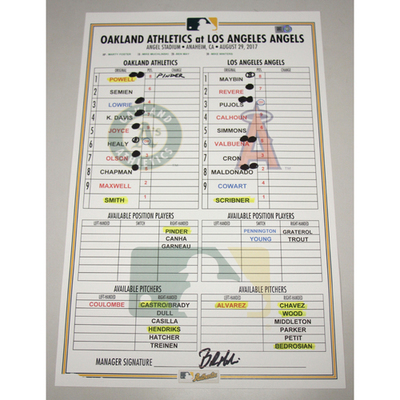 2017 Oakland Athletics Game-Used Lineup Card - Choose your Game Date! Use the new drop down menu to select the game-used 2017 lineup card of your choice! All available lineup cards are MLB Authenticated.